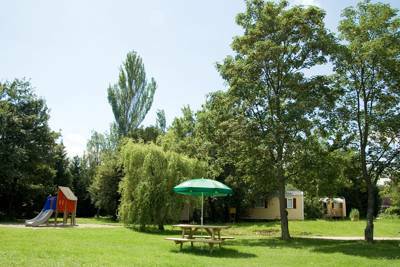 Lyon Campsite has 163 shaded and grassy pitches set in 6 hectares of land in the heart of a beautiful natural park. Tents, caravans and motorhomes are all welcome at Lyon Indigo Campsite, all year around. Recognised by UNESCO as an official World Heritage Site, Lyon is one of those rare cities that so successfully blends millennia of history with a vibrant and strikingly modern feel. It’s been luring people since the Romans named it Lugdunum in 43 BC but today the 2000-year-old amphitheatre, 16th-century Croix Rousse district and medieval St Jean's Cathedral are married with hip cafés, new fangled suspension bridges and the space-age looking science museum where the city’s two rivers – the Rhône and the Saône – meet. It’s a vivacious city that’s attractive and interesting without being pretentious. And, thankfully, it plays host to an equally amenable campsite. In the north west Dardilly district, a 20-minute bus journey from the city centre, Camping de Lyon spreads itself across some 15 acres of tree-spattered parkland with grass pitches for tents and year-round spots for campervans and motorhomes. 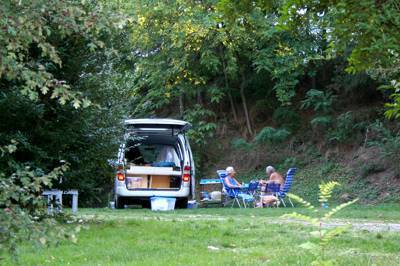 Mature trees and well-established foliage help break up the campsite and shield it from the urban world beyond – in some areas it feels almost like woodland camping – while noise from the busy A6 auto-route is noticeable but minimal (and makes the campsite a handy layover on longer journeys). Facilities, meanwhile, are plentiful – there’s a heated outdoor swimming pool, a playground, a shop, library and games room in the reception block and three different washroom buildings. If you think the only thing missing is a tennis court you’d be right. Sort of. There are public courts just 400 metres down the road. 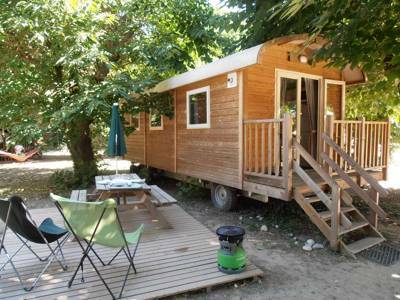 Yet for all its fancy facilities and pre-furnished glamping options, Camping de Lyon retains a wonderfully laid-back, informal feel. The thick trees and undulating levels of the park bring the great outdoors to what is otherwise a city-focused holiday and the family clientele mean children of all ages are quick to make friends and charge off towards the playground together. And, whether it’s roaming art galleries, cycling between shops on the riverside or watching a Guignol puppet show at the Croix-Rousse or Saint-Jean theatres, retreating back to the campsite after a busy day in town is always a real pleasure. Country camping and a city escape combined. What more could you want? 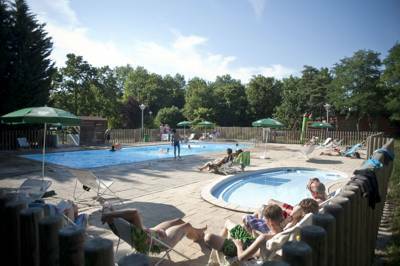 Camping from €19.50–€22.50, including a pitch, 2 adults and a vehicle and tent (or caravan). Electricity €5.90–€7. Extra adult €4.80–€5.30; children (2–7yrs) €3–€3.70; under-2s free. Pets €2.30–€4.50. Glamping from €41 per night.